A view of Manhattan from a Circle Line Cruises boat floating on the Hudson River. 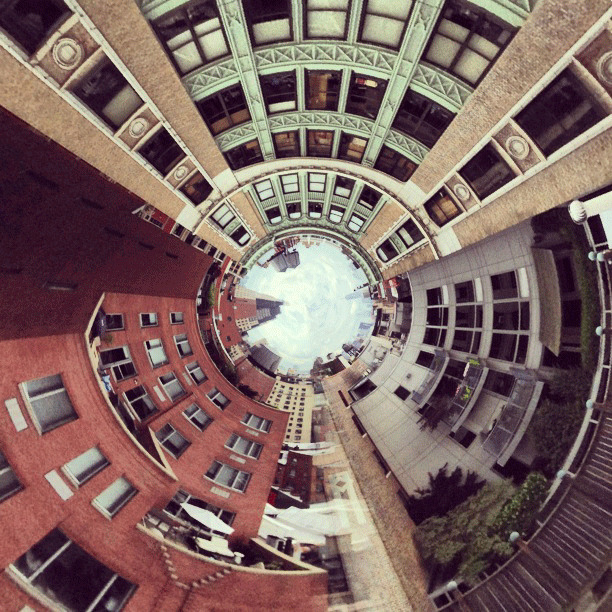 The opposite of the "tiny planet" feature is the "rabbit hole," used here from a roof terrace in Chelsea. 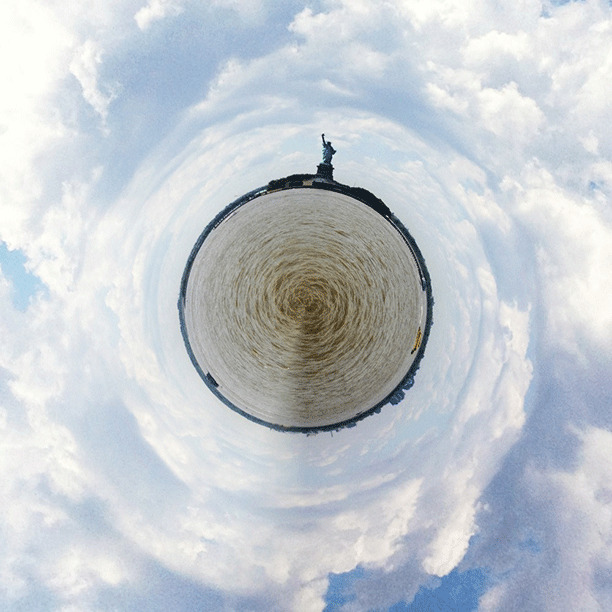 The Statue of Liberty from the Staten Island Ferry in New York Harbor. 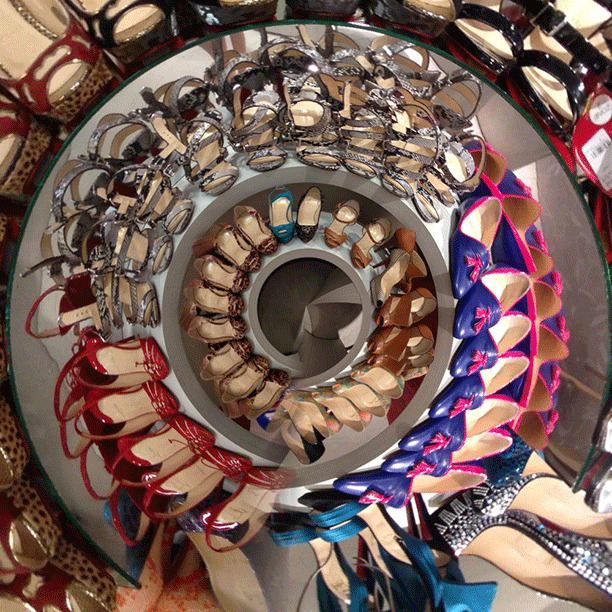 Shoes on display at Saks Fifth Avenue in Midtown. 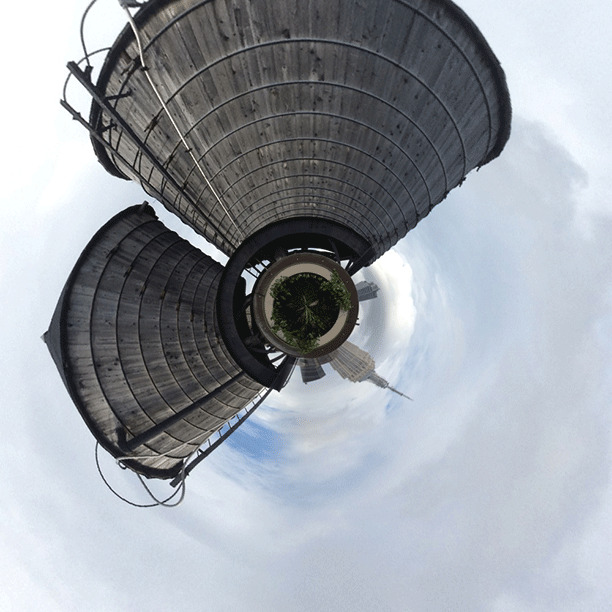 Roof top water towers and the Empire State Building. 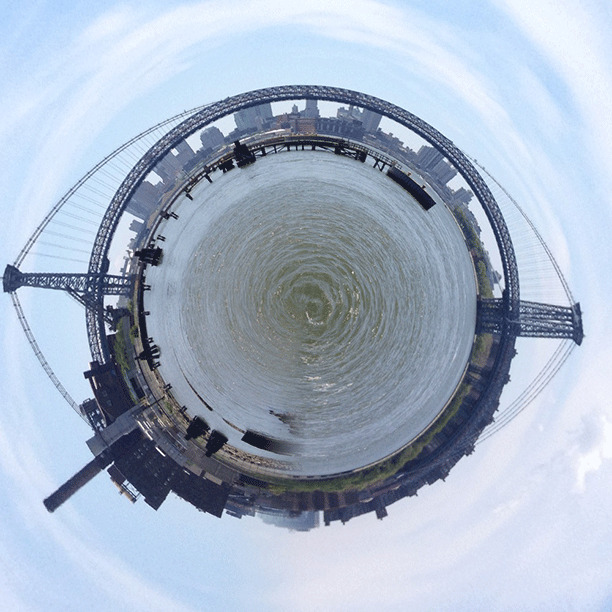 The Williamsburg Bridge as seen from East River State Park in Brooklyn. 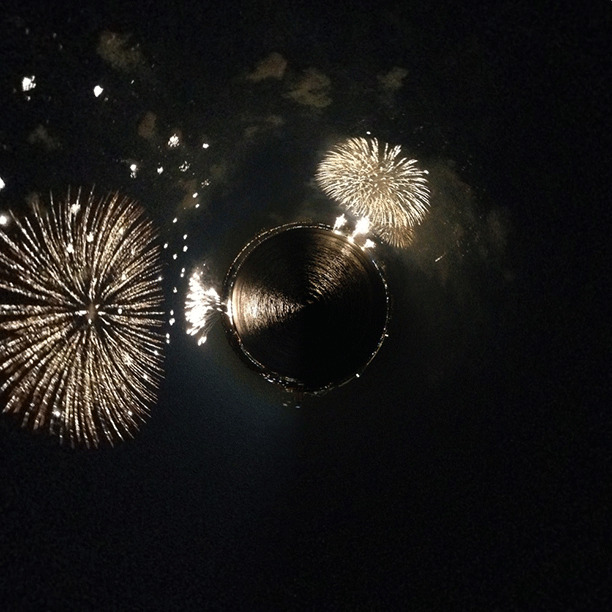 4th of July Fireworks reflect off the Hudson River. 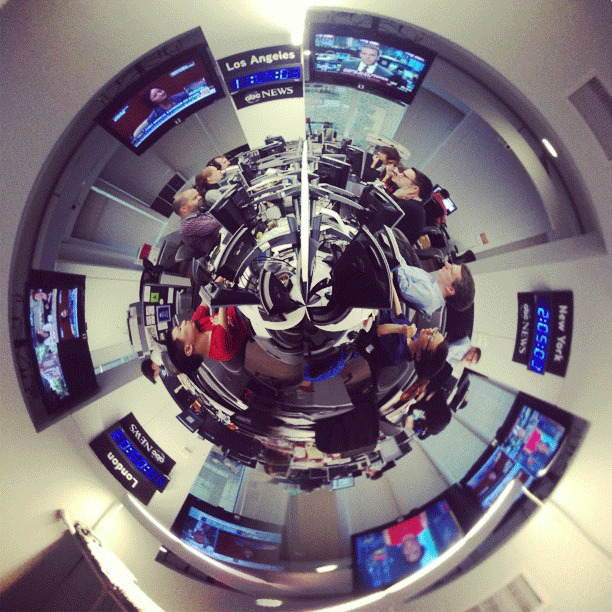 The ABCNews.com newsroom and my first stab at Tiny Planets! Clocks for New York, Los Angeles and London. 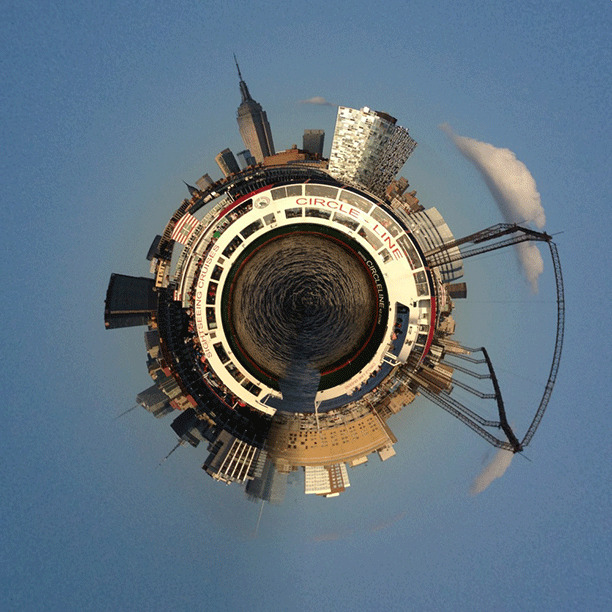 More Tiny Planet photos can be found here. See more featured photography curated by ABC News' photo editors, and at Picture This, the ABC News photography blog.